Welcome to my second year-end post of 2018! 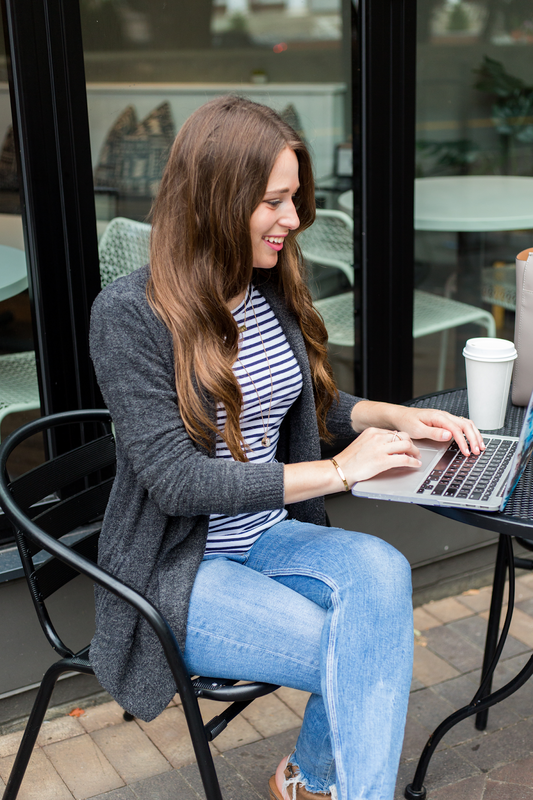 Yesterday's blog post focused on memories and accomplishments in my personal life, and today's will focus on all things blogging. As always, I'll be sharing my 12 favorite outfits of the year (one for each month), the five most popular posts of the year, and just a few thoughts about blogging this year in general! Let's start with my favorite outfits of the year!! Do you remember some of these posts? March: Lilly Pulitzer Spring Styles with Pink Colony. I loved getting to do two collaborations with Vermont's largest Lilly retailer before I moved! This dress was one of my favorites that I styled in-store. April: Lilly Pulitzer Sophie Dress + 4 Books I've Read Lately I live in casual Lilly Pulitzer dresses like this one for work in the spring/summer. 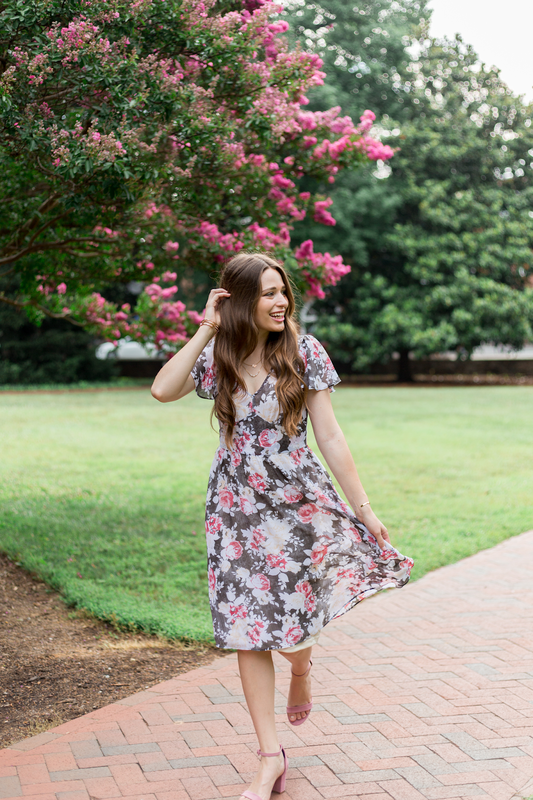 I styled it slightly more dressy for this outfit post, but I still love this dress so much! 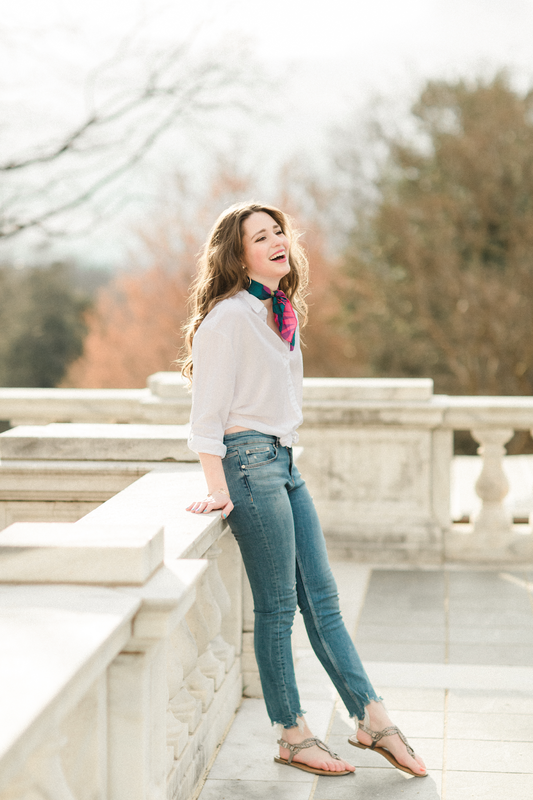 May: Tie-Waist Shirt + Neck Scarf: Two Spring Trends to Try This was actually my favorite outfit of the year! I LOVE how these trends pair together, and I love the photos from this post so much! This is an outfit that I always feel confident and beautiful in. June: My Favorite Type of Place to Shoot Blog Photos At It was about time that I finally did a blog post dedicated to how much I love doing my blog photos on parking decks! 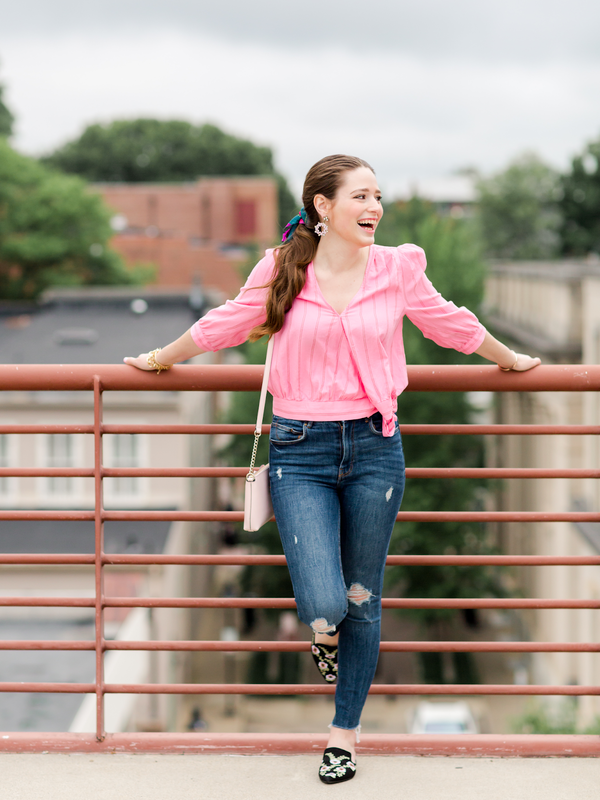 I also love this flirty pink top- such a fun spring casual look. July: Blue Gingham Sundress + Carytown Adventures I love Richmond, I love summer adventures, and I love how this outfit turned out! August: Summer to Fall Business Casual Look + INSTAGRAM Feed Talk These photos were taken for an Instagram sponsored post, but I loved the outfit so much that I shared on the blog as well. September: Fall Transition Look + 3 Things I've Been Loving in September This was a re-styled outfit, I've had this sassy plaid mini skirt for a few years, and it's been on the blog before. October: Sweater Dress in Shenandoah... This was hands down the most stunning location that I took outfit photos at in 2018. November 2018: My Favorite Navy Dress + Recent Thoughts I can never say no to a chic and classic dress like this one! 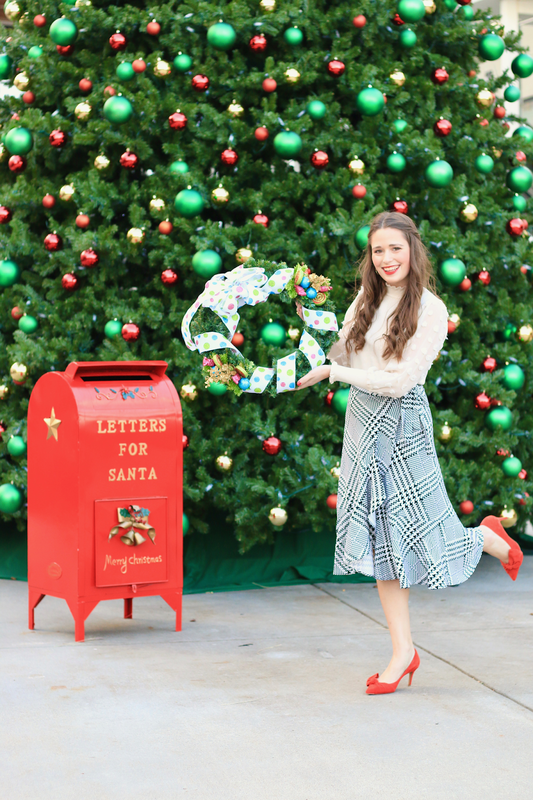 December: Christmas Photos 2018 + My Christmas Traditions! This year's Christmas photos also happened to be my favorite outfit from December. Since we have recapped the best outfits of the year, let's take a look now at the year in blog travel! This is the first year that I had a few different blog travel opportunities, and they were all fun and memorable. Now it's time to take a look back at the five most popular blog posts of the year with SBIT readers! I gotta be honest- most of these really surprised me, as a couple of these totally different from my favorite posts of the year. 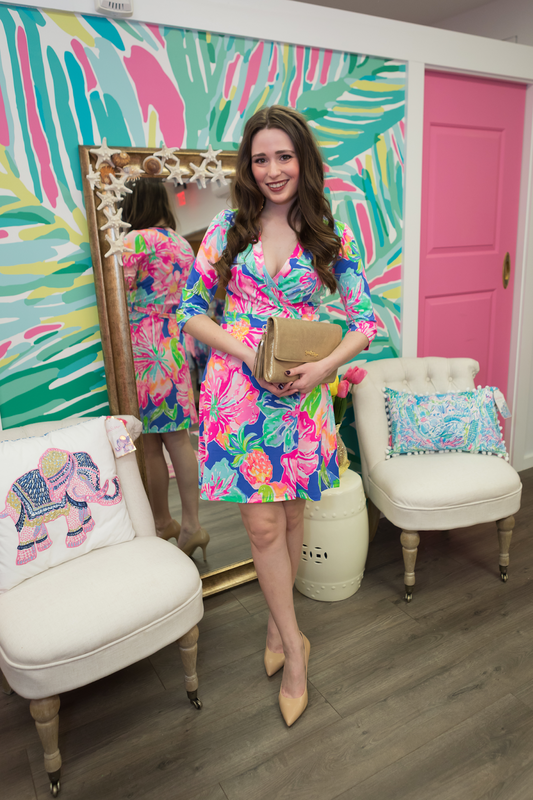 Lilly Pulitzer After Party Sale Picks + Style Guide - One of my favorite collaborations of the year, and y'all loved it too! Big Life Update Part 2: Hello Virginia!!! - I finally got to share the news that I was moving back South in 2018, and y'all were thrilled for me! Shop Your Closet for Wedding Season: Part 1 - Bachelorette Parties - I shared lots of different all-black outfit options in this post, as well as a few other outfit ideas. 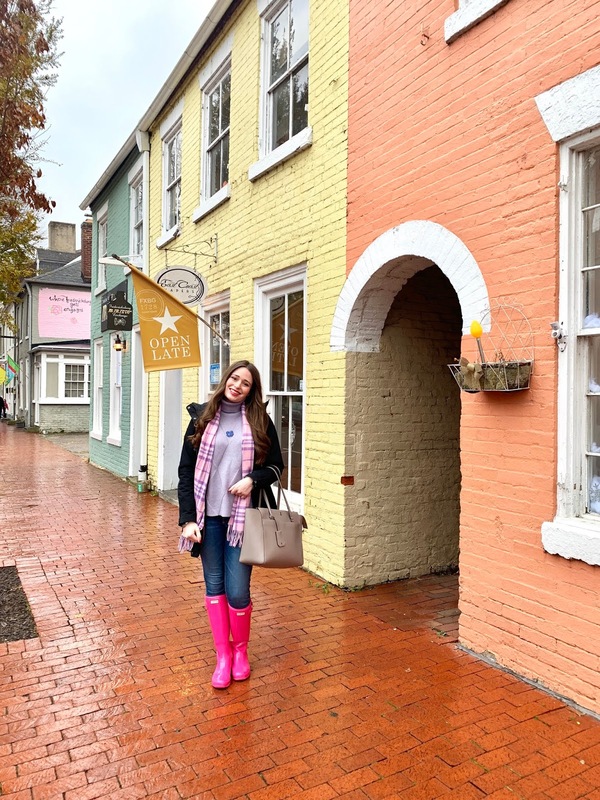 Lilly Pulitzer Casual Workwear Looks with Pink Colony - Y'all love Lilly as much as I do, so it makes sense that y'all want to know how I'd wear Lilly to work! I also wanted to share my favorite posts of the year! As much as I love fashion posts and sharing my affordable outfits, all of my favorites this year were more personal posts, and travel as well! Big Life Update Part 1: Goodbye Vermont!!! When I first announced my new job, I didn't share what state I was moving to in the blog post. I made a video (that I first sent to family and friends the week prior) that documented my whole job search and interview process. I shared that special video in this post! Life Update: I'M A MORNING RADIO CO-HOST!!! Another job announcement post! This one was the news I never saw coming. Relationship Monday: A Year Without Dating Apps. I didn't use a single dating app in 2018, and I summarized a huge jumble of thoughts on that in this post. This year was full of growth as a single woman! 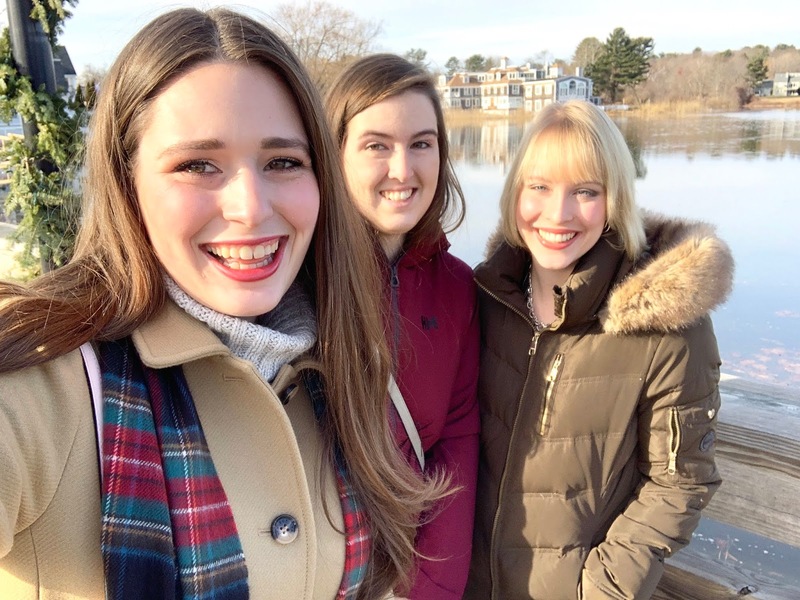 RICHMOND TRAVEL GUIDE: Girls' Weekend at Graduate Richmond Travel content is something that I've worked hard to expand on my blog in 2018. This is the first travel opportunity that I was contacted for (versus me pitching a tourism board or hotel). Relationship Monday: Valentine's Prayers for Your Future Spouse I see myself re-reading this special blog post each February for years to come! And lastly, a few random personal notes on 2018 in blogging! This year I celebrated my 6th blogiversary... HOW?! As a young kid and high school student, I tried lot of different sports, creative pursuits, and hobbies. Being an only child, my parents were able to support me trying in doing just about anything that I wanted. During my childhood, I tried everything from horseback riding to fencing (that one was very short lived), to sewing and pottery classes. I did a few musicals and was in chorus for a few years, and I had my first experiences with team sports in high school. The thing that I stuck with the longest as a kid was figure skating- I started at age 3, and competed for a couple years in middle school. However, as blessed as I was to try all of these amazing different things... I never stuck with anything. I suppose skating was the thing that I did the longest, but I had stopped competing by the time I got to high school, due to an injury. I consider my blog to be the first thing that I have ever "stuck with," and for that I am extremely proud of myself. Did I expect to still be doing this six years later when I started? Probably not to be honest! But I am extremely grateful that through this website, I not only have an easily accessible diary some of the most important years of my life, but I've also taught myself so many skills about business, writing, and personal growth. Anyways, now that the sappiness is out of the way, I wanted to share a couple blog goals that were accomplished this year! The first is really superficial, but I'm still so excited. I had my first Instagram post reach 1,000+ likes! This is a goal I've been working at for a couple years (I had one a couple years ago reach 950+), and it was just cool to finally see that happen. I love the photo that it happened for as well! The second big accomplished goal was that I worked hard enough on travel content in 2017 that I was able to have a few more blog travel writing opportunities in 2018! The best part was that two of them involved the hotel or tourism board reaching out to me, instead of me reaching them. You can see all of the blog travel I did this year above in this post! One goal that I definitely didn't reach this year was getting to the amount of Instagram followers that I wanted. I gained less than 1k new followers this year... ugh I'm conscious just typing that out! But I'm sharing that because I think it's important to let y'all know that if you're having problems with getting noticed on IG and beating the algorithm, it's not just you. I don't buy followers or do loop giveaways... so I know that the following that I do have is authentic and is CHOOSING to follow me. While the numbers aren't as high as I wanted at the end of this year, that's still pretty darn cool! The other goal that I didn't accomplish was starting a newsletter for my blog. I tried to do this around this time last year, but I had some technical issues with the mailing list. I meant to fix it in March, but I ended up getting preoccupied with my new job and moving. I just never got around to setting it up this year, and I think that's okay! A lot of bloggers have successful newsletters which is awesome for them, but I don't feel as much pressure now to start this. I have some new goals in place for 2019, and I can't wait to see at this time next year if I accomplished them. THANK YOU THANK YOU THANK YOU for reading and being apart of the Southern Belle in Training family! God bless you all, and talk to y'all in 2019. I seriously look forward to writing my year-end posts all year long! Each year when I sit down to do this blog post and my year in blogging post, it gives me time to truly reflect on all of the blessings and adventures in my life. 2018 was quite a year, so it was really special to take the time to remember some of the biggest moments! 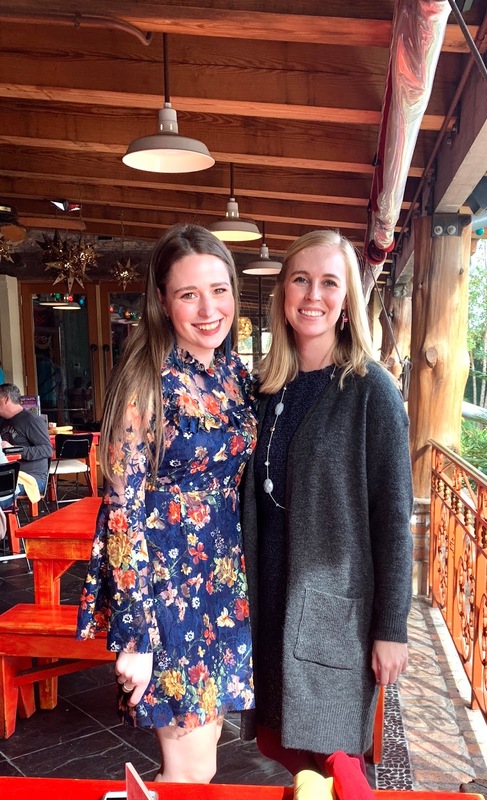 Today I'll be recapping the biggest moments of the year (day job, friends, personal moments) and Monday's post will look back at the year in blogging and on Southern Belle in Training! SO much happened this year, but I'm going to try to narrow it down to what I think were the five most important life updates. The biggest thing about 2018 was of course that it was the year that I moved back to the South! I moved to Vermont in Spring 2017 for my first job, and lasted only 11 months up there. 😉Pretty much from my first month in Vermont I was praying for a new opportunity to come that could move me back south of the Mason-Dixon Line. I first visited Charlottesville to interview for a new job in February, and I moved just a few weeks later in March! Two of my personal favorite blog posts from the year were announcing my move and new radio job (part one and part two). I have loved living in Virginia, and I truly hope that I can have the rest of my career here in the South! Below is a picture of one of my favorite selfies I've ever taken... a very special rest stop on the road trip from Vermont to Virginia! The other big accomplishment of 2018 happened just a few weeks ago... I found out that I was unexpectedly promoted to full-time morning show host on a different radio station here in Charlottesville! This was (and still is!) a huge shock and dream come true. Getting to do morning radio so early in my career is unbelievable. The Z 95.1 Morning Show with Marc and Anna Lise (I spell my name slightly different on-air 😊) actually premiered yesterday! More information about my new job can be found in this blog post. Next are three personal accomplishments. Since moving to Virginia I have made the most wonderful friends, but more specific then that, this is the first time in my life that I've ever had a "group." I really struggled to make friends for most of high school, it truly wasn't until senior year that I felt like I had made friends that were equally invested in being my friend! The first three years of high school were so rough. When I got to college, it was much easier to make friends! But the thing about my college years / time living in Charlotte was that I had friends in so many different places. I had sorority friends, roommate friends, friends from my undergrad major, broadcasting school friends, and blogging friends! While I am thankful that I got the chance to know so many different people in Charlotte, the fact that I didn't have a specific friend group sometimes made planning get-togethers a little weird. I was always introducing friends to each other! I started attending my current church about six week after moving to Charlottesville, and it's lead me to the most wonderful group of girls! This is truly the first time in my life that I've had a solid group that's all equally friends with each other to do things with. We have had so many memories this year- from movie nights to dinners to day trip adventures! I hope that in 2019 the group will continue to get even larger with more amazing girls. 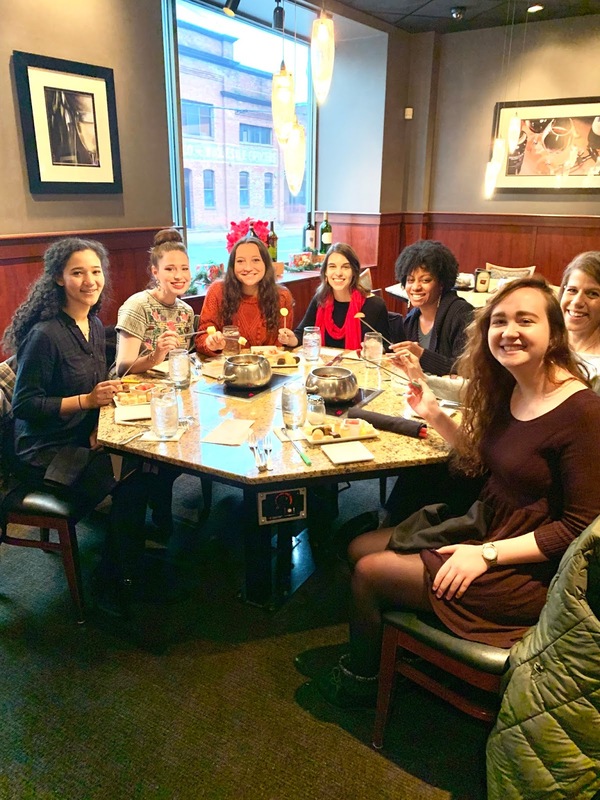 Here's a recent picture of everyone- we did a special lunch at The Melting Pot last weekend to celebrate my job promotion! Another personal accomplishment of the year was going above and beyond for one of my 2018 resolutions! It was my goal this year to read 30 books... I read 47! My new goal for 2019 is to read 52 books- a book a week. And finally... I can't take personal credit for this one but I can thank my body! I am no longer allergic to cats!! In high school, I became extremely allergic and would develop full body hives when I was around them. I would pray that someday I'd outgrow the allergy so I could have a cat of my own. I had allergy testing done in July of this year and learned that my body had cycled through the allergy- so I was all set to get a pet cat! My mom helped me pick out my sweet Delilah this fall. This was the first year that I actually got to go on several weekend trips for my blog! I decided I'll recap those travels in my year in blogging post (coming Monday! ), so today I'll just share about personal travels. I had a very quiet NYE welcoming in 2018! I flew out to Indiana right before New Years, and spent a few days in the fun college town of Bloomington visiting a high school friend who moved there for grad school. While touring IU, I had to get a picture in front of my sorority's beautiful house near campus! 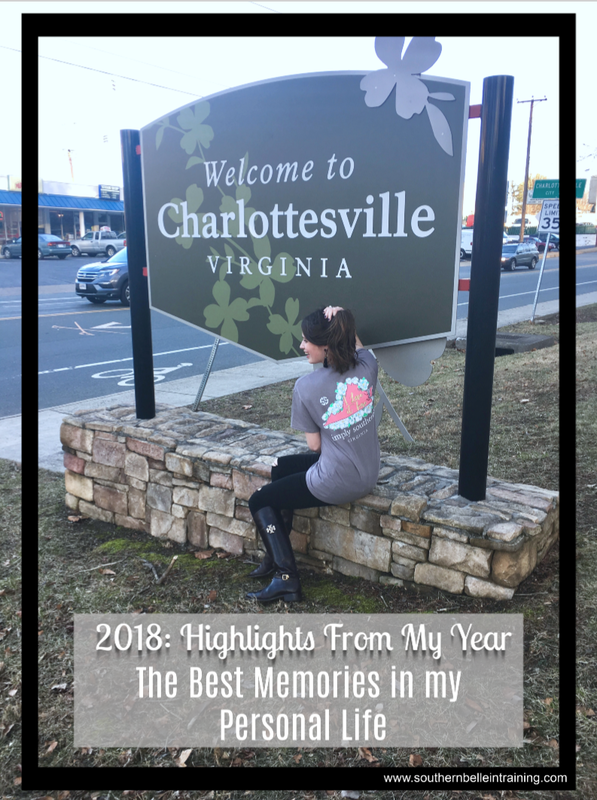 My second trip of 2018 was my job interview in Charlottesville! It was a whirlwind 48 hours, and will always be such a special memory to me. I flew into Richmond (about an hour away), and I think I fell in love with Virginia the second my plane hit the runway! I knew pretty much the second I got to Charlottesville that I could move here and be very happy... and I was right! Below is a picture of my first time checking out Downtown Mall. One of my favorite things about moving to Charlottesville has been how easy it is to get to DC! Prior to moving to Virginia, I had only been to Washington DC once, and it was back when I was in elementary school! I made four trips to DC this year- spring to see the cherry blossoms (something that I think will become an annual tradition! ), summer to do museums with friends I had visiting, fall for a concert, and I'm going this weekend for one last trip of the year, to do some belated holiday activities! One of my good friends from Maine, Mercedes, lives just outside of DC, so it's very convenient for me to go see her and stay at her place! She's always a fantastic tour guide. I went home to Maine for three days during Memorial Day Weekend! While the weather wasn't as warm as I hoped, I still enjoyed seeing my family and a couple friends. My first trip back to North Carolina was a really quick weekend trip in July, for a very good occasion! My college friend Michelle got married just outside of Greensboro, NC. One of my best friends, Becca, was a bridesmaid in the wedding, and we got to room together for the weekend as well. It was a very brief but great trip, I'm so glad I got to see some dear friends. I had an absolutely wonderful Labor Day Weekend- I got to go back to my second home, Charlotte! This was my first visit since I had moved away. It was pretty much a perfect weekend! I was proud of myself for being able to coordinate seeing so many friends while I was in town. The best part was doing a joint 24th birthday celebration with my friend Caroline (she's born two weeks before me!). I spent Thanksgiving this year just outside of Houston, TX! My friend Ciera moved there this summer for a promotion with her company, and since she wasn't able to get back to the East Coast for the holiday, I went to see her. The Houston area was really fun to visit, and the weather was perfect in November- 60s and 70s! You can read my travel diary for this trip here! I made one more quick trip home to Maine, which was this past weekend for Christmas! I got to see my mom's side of the family, and two of my best friends. 2018 is the first year that I've spent barely any time at home- I think in total less than a full week. I'm hoping to spend more time there in 2019- especially in the summer, that's definitely the best season to be in Maine! Taking a ski lesson at Smuggler's Notch Resort with my friend Anna was so much fun! I wish I'd gotten the chance to try skiing more while I lived there. I went to a fun semi-formal event with my friend Jana last February! These three beautiful ladies (Sarah-Beth, Sophia and Jana) were roommates at the time. I just wish I had met them sooner while living in Vermont! Blog photoshoot fun with my photographer Amanda, who also became a good friend to me! I miss this girl so much- Niki (Nicholle Sophia) was my very first friend in Vermont! During my last week in Vermont, my friend Ronica (Relatable Roni) and I had the most fun shopping day outside of Montreal! I had a pigeon family that lived on the balcony of my apartment for about six months!! 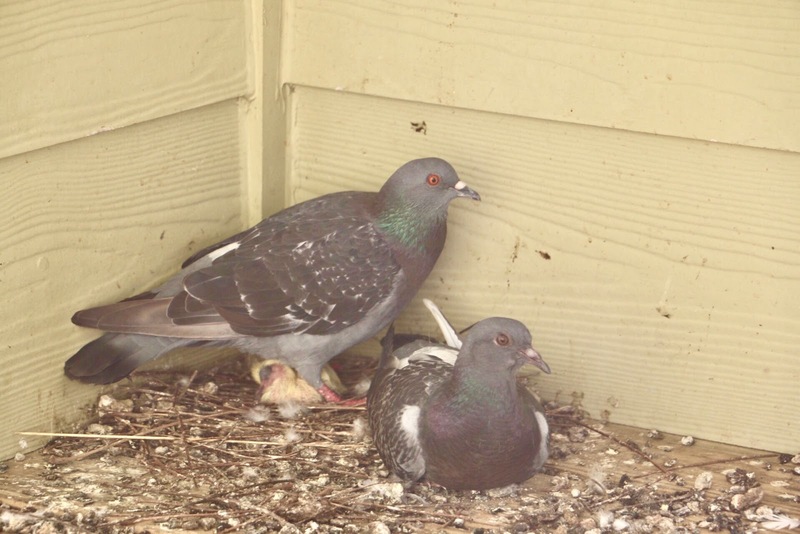 It was amazing to watching the parent pigeons care for the eggs, and then get to watch baby pigeons grow up. (Seriously- sometimes I'd tear up watching them because the babies were so cute!) I actually wrote a blog post this summer dedicated to my "neighbors." I became a wine drinker this year! Confession: I never really liked wine before moving to Virginia. 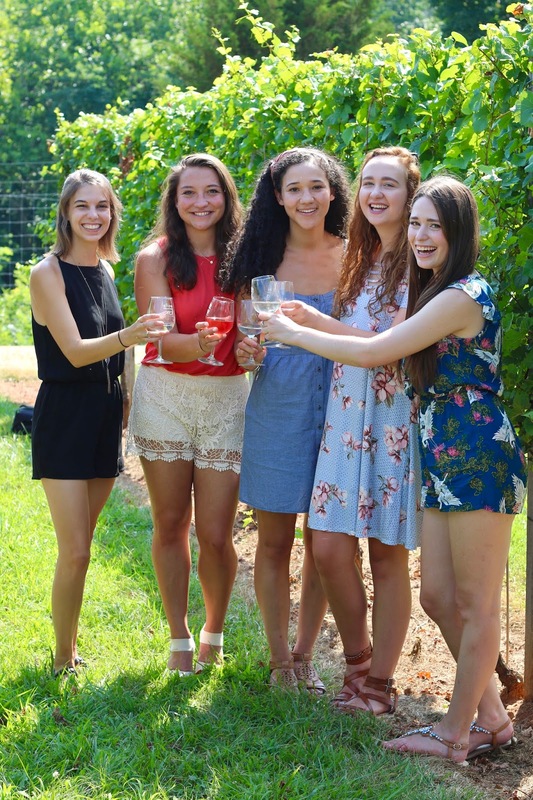 Charlottesville is located right in the middle of one of the largest wine regions in the state, so it didn't take me long after moving here to start appreciating local wines! I visited nine Virginia wineries this year, and recapped most of them on the blog! I also went to the Monticello Wine Festival with my friend Alicia (Alica Tenise) in the spring. I spent a ton of time by the pool- both solo and with friends! My apartment in Vermont didn't have a pool (plus it's such a short summer season there), so I wanted to fully enjoy the luxury of my apartment complex pool this year. It was really fun- my pool became the designated hang-out spot all summer with my friend group from church! The rest of summer was a wonderful and busy blur- I went to a ton of free outdoor concerts with friends (and even got to emcee some for work! ), went on some local hikes, had a taste of local nightlife, and had fun exploring Richmond on a few weekends! Lastly, one very special highlight from summer. All of you I'm sure know about the tragic race related events that happened in Charlottesville in August 2017. This past August, there was a special memorial service with tons of local churches in attendance, held downtown near the sites that everything had happened the year prior. It was an incredible service, and I'm so blessed that I got to attend it with friends from church! It made me proud to live in a city that is truly committed to peace and love, and moving past the horrific event of the year before. Fall was a crazy season for me. I thought for a couple months that work would be transferring me out of Charlottesville, so a lot of weeks went by in a blur getting wrapped up with all of that. In early November, I began a long-term fill-in role on the country station morning show, so I also had an unexpected major schedule change! A couple fall highlights though were becoming a pet mom to Delilah and celebrating my first Halloween since college! This is the day I adopted Delilah! One of my favorite memories of 2018 did happen this fall, right in the middle of all the work craziness! During my fall trip to DC, I saw one of my very favorite music artists in concert. I am obsessed with Romanian pop star Inna! She doesn't tour in the US very often, so getting to see her with my friend Mercedes was a dream come true. It's so fun to look back on all of the people who came to visit this year! 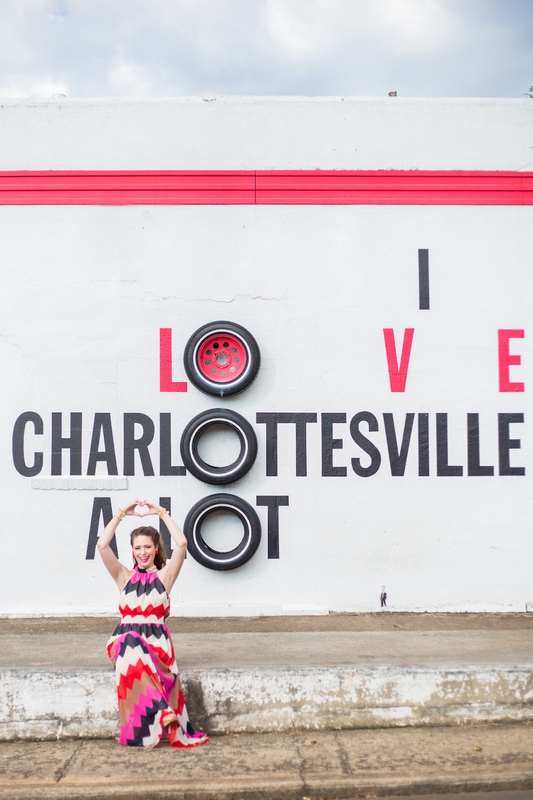 I love Charlottesville, and getting to show it to those that I love is so special! My parents also visited me a few times each since I wasn't able to go home much this year! My dad helped me move in March, and also came back in October. My mom visited three times; April, October and November! On my mom's second visit, she helped me welcome home Delilah! Stay tuned for my second year-end recap post on Monday, which will cover blogging highlights and memories from this year!